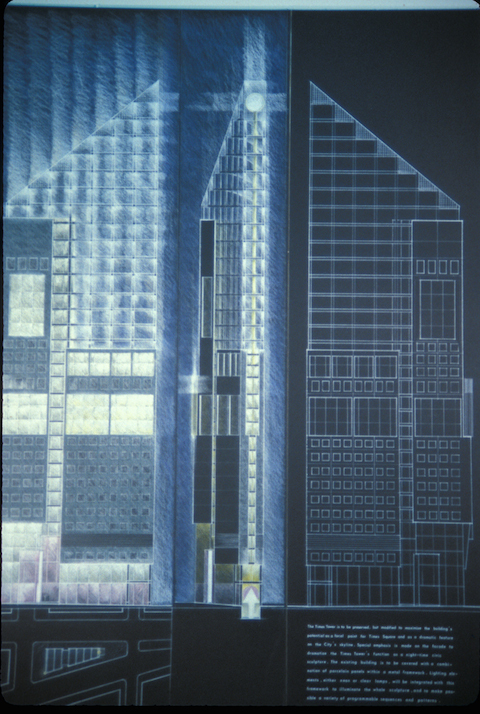 42nd Street Development Project Design Guidelines, 1981 Cooper-Eckstut Associates. Reproduced with permission from Cooper, Robertson & Partners. 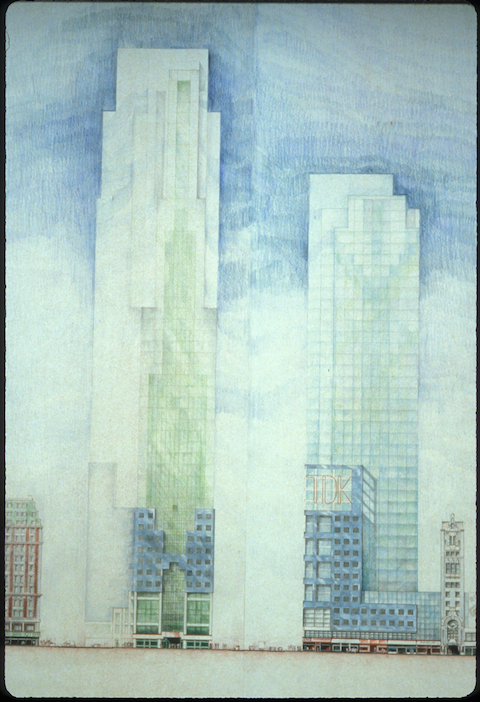 The drawings of skyscrapers were only evocative models, not specific designs, but their detailed analysis of the streetscape, signage, and potential skyline, set forth in the report 42nd St. Development Project Guidelines, established a set of rules that were adopted and enforced, for the most part, by 42DP officials over the next decade. 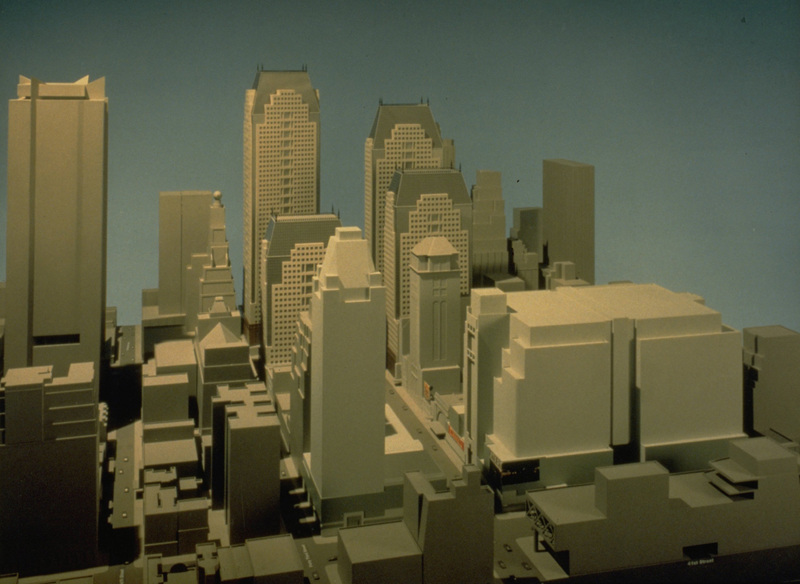 Their guidelines included sculpting the tops of towers with cutaway corners to evoke the setback tower forms of the 1920s in the neighboring Garment District and multi-story zones for advertisements. The 42DP's goal was to reestablish "the Deuce" as a theater destination. 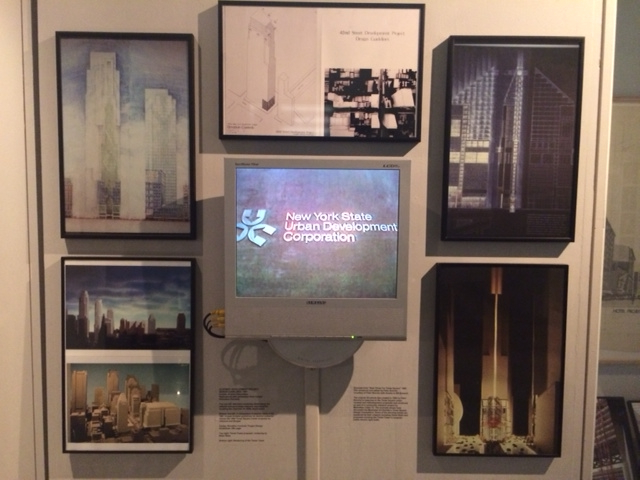 The new office towers and retail spaces were the deus ex machina toward this end: their 4.1 million sq. ft. of new office space would anchor the square, reinvigorate the area's street life, and create a funding strategy that would support the acquisition of the historic theaters and subway improvements. The above frames shows a comparison of the setback requirements described by Cooper-Eckstut (left) and the subtle nod to setbacks delineated by Johnson and Burgee (right). 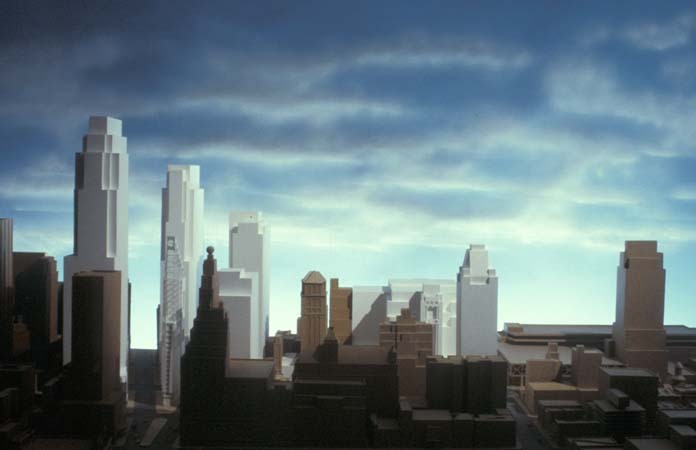 Johnson and Burgee's clear deviation from the site's requirements illuminated their contrasting opinion regarding the area's future potential.